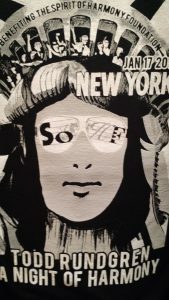 Get them while they last….. Here are some items we’ve saved from previous events and we thought you might like the opportunity to purchase them as keepsakes. 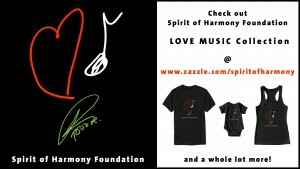 All proceeds support the Foundation. 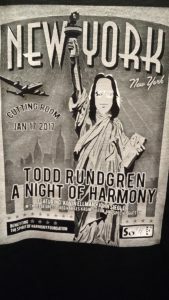 Alchemedia Productions and Panacea Entertainment presented Todd Rundgren A Night of Harmony on January 17, 2017 at The Cutting Room in New York City (for details, please click here). We have a limited supply of event tshirts available, first come first served! 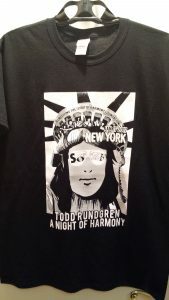 US Priority postage cost is included in the pricing for each shirt. 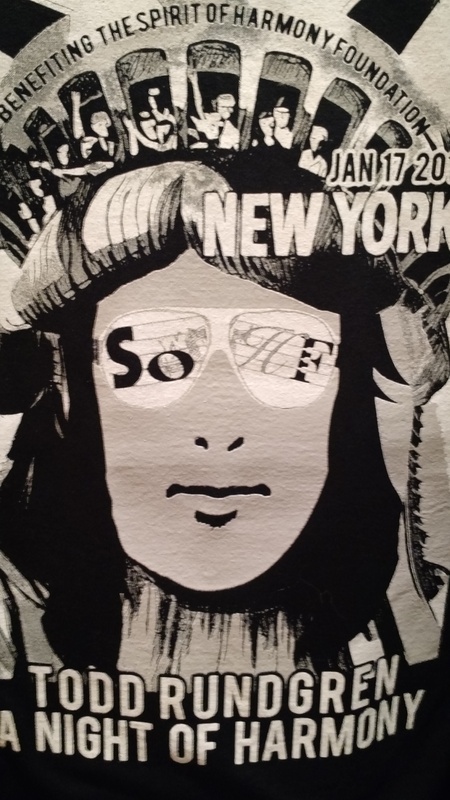 The shirts are very high quality, 100% cotton. 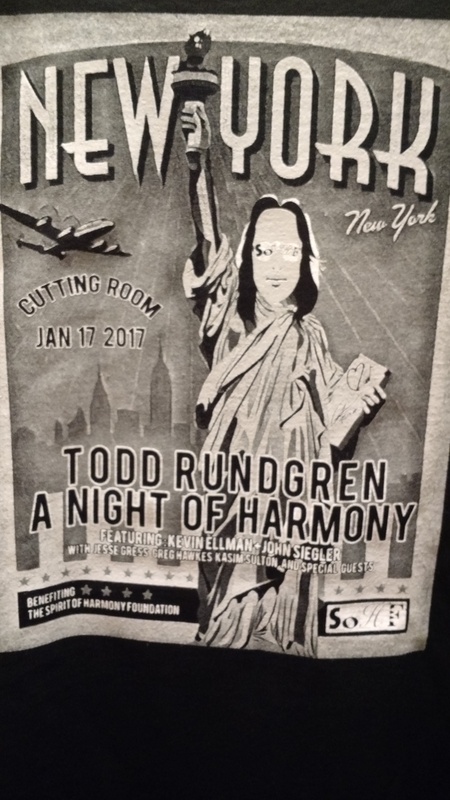 Black, with white and grey printing. 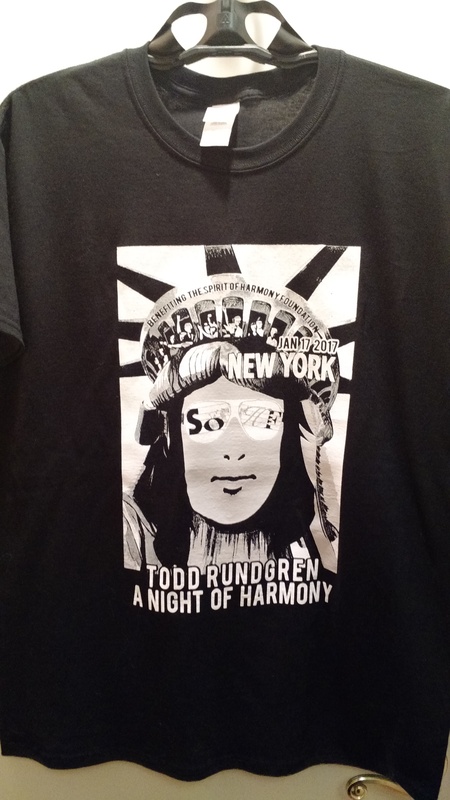 Designed by the great Danny O’Connor (Toddstore). All sizes are men’s sizes. Prices are listed for DOMESTIC (United States) shipping. 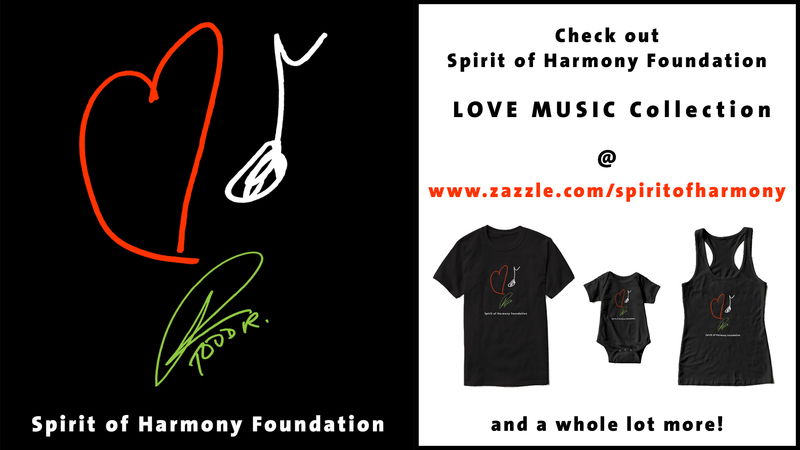 For international orders, please send us an email at jean@spiritofharmony.org and we’ll let you know the additional shipping amount owed. 3/4 inch square glass pendant. 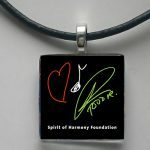 This hand crafted pendant comes with an 18″ black leather cord with lobster adjustable clasp. Silver findings. Price includes priority shipping and handling to US destinations. For international orders, we will send you an email with the additional cost. 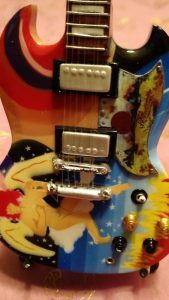 Gibson SG Fool Saga Psychedelic Reissue Custom. Approximately 10″ length handcrafted miniature replica model guitar, comes with a high-quality miniature adjustable stand. 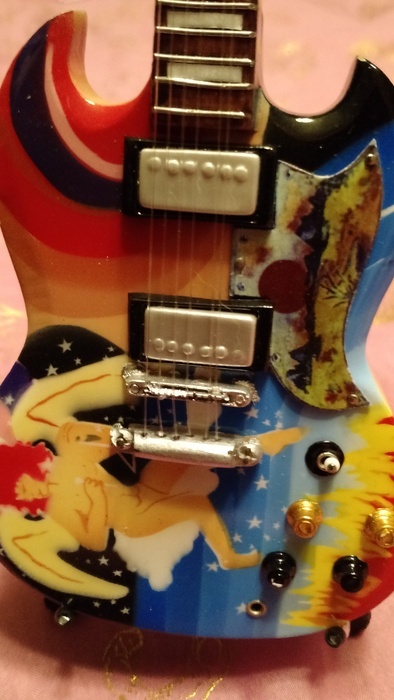 Replica mini guitar is 1:4 scale, individually handcrafted made from solid mahogany wood, and all additional parts were crafted from recycled materials. 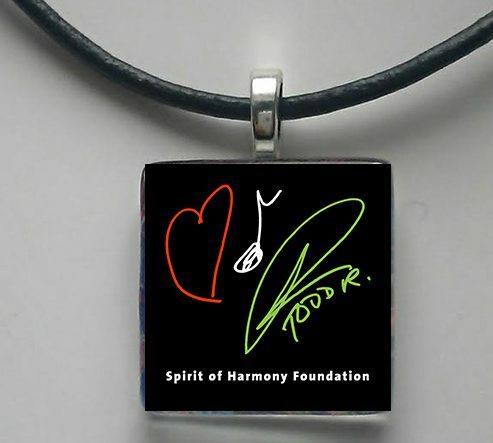 Please click here for our custom merchandise collections.